Book Scott! I promise, you'll be so happy you did. Scott played at our June 2016 wedding - he provided pre-ceremony, ceremony, and cocktail hour music. He played superbly throughout. We asked him to create new arrangements for our processional and recessional songs, both of which originally have lyrics. His arrangements were lovely and did great justice to the songs. In addition to his great musicality, he was professional before and during the wedding. Pre-wedding, he was extremely responsive to any question we emailed to him, and he made great suggestions and gave good advice when asked for his professional opinion. Day of, he arrived early, was dressed formally, and was setup and ready to go with time to spare. All that, and his services are reasonably priced. He's such a skilled player that you can skip the quartet - Scott plays like multiple musicians all in one. Thanks for taking the time to write this review. It was my pleasure playing music for you and your appreciative guests! Scott Sanchez is Amazing ! Thanks Geoff! I appreciate that you took the time to write this review. It was my pleasure to be part of your and Christina's wedding. Shakespeare on the Hudson was a beautiful setting for your beautiful event. Scott Sanchez was our selected performer for our Ronald McDonald Fundraising Event on the night of January 17th. He was everything we had hoped for, and more. His classical music was the perfect backdrop for our event. Scott was prompt, timely, professional, courteous, and extremely talented- and he drove an hour and twenty minutes to reach our destination. We highly recommend Scott as someone to be trusted and counted on for a special evening. Thanks for selecting my services for your event and for taking the time to share your experience in this review. It was my pleasure providing music for you! Scott was wonderful to work with. He arranged Bruce Springsteen's Thunder Road, and played it as I walked into my venue. I asked Scott to play non-religious music, Beatles, etc... as guests were arriving, and everyone raved about his selections. I couldn't have asked for more. Scott's music was the absolute highlight of the wedding. Scott was amazing. He was very helpful in any questions that I had. Playing our wedding added a touch of class. His playing was smooth and crisp. Scott also played at the perfect volume for the outdoor event. I would highly recommend Scott for any event! Thank you so much for the kind review. 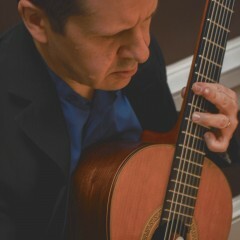 It was a beautiful event, and I enjoyed playing for you and your guests. Best wishes to you and Kristy for a wonderful marriage! We had Scott play background music for our wedding reception. We received so many compliments on his broad repertoire( (classical to contemporary). Also people commented on being able to converse and enjoy each others company as the music was not loud but added a great touch to the ambiance of the reception. We heartily recommend Scott and would hire him again in a heartbeat! Thanks for your review. It was my pleasure playing music for you and your guests! Thanks for posting the picture also! This is the 2nd time I have booked Scott for a work function. I always get so many compliments from guests when he plays an event. Scott is extremely easy to work with and communicates with me on a regular basis before and after the event. I really enjoy working with Scott and look forward to hiring him again in the future. Thanks Jessica! I look forward to working with you again. Mr Sanchez was absolutely fantastic. He was there promptly as he said he would be. His talent shined through and many of our guests complimented us on his music. Anyone would be well advised to have him perform at any function. He continued to play as the guests made their way past the receiving line. This was not in my original request but was very welcomed. If I have an opportunity in the future I will certainly use his service again. Thanks for your kind words. Congratulations on your 25th anniversary! It was my pleasure to provide music for your event. Scott was extremely responsive and had a great repertoire. He asked all the right questions when we first spoke helping finalise another detail for the wedding whilst knowing that he would do a great job, which of course he did! I want to thank Scott for making our event a success. The addition of his talents on the guitar as background music to our cocktail party was amazing. Never too loud but at a perfect level to just compliment the room we were in, adding soft melodies for our guests to enjoy. Thanks for your kind words. It was my pleasure providing music for your event. The Boston Harbor Hotel's stunning views of the harbor and the skyline of Boston were a spectacular backdrop for the evening! Scott performed at our outdoor wedding ceremony and cocktail hour. He was incredibly professional and easy to work with. Not to mention a wonderful musician! Scott saved the day by filling in after a last minute cancellation by another guitarist and I am glad everything worked out the way it did! Thanks Amanda! It was my pleasure to play at your intimate and beautiful wedding. Scott was really an incredible addition to our wedding. 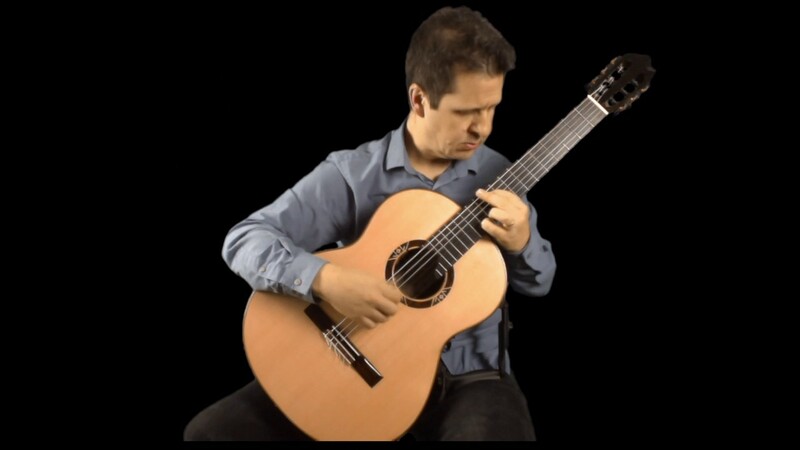 While he obviously knows everything about classical, spanish and other areas of music, he also is a very accomplished and talented guy and can play basically anything that you can dream up. My wife walked down the aisle to the beatles, and we exited to bob marley - and he played a host of melodic and engaging tunes all around this. The cocktail hour was great, and his selections were impeccable - along with his gear (right sound, volume, clarity, etc). And of course, in case it's important to you, he was totally clean-cut looking and exceedingly nice! Note: while it says "Wedding Cocktail Hour," Scott also provided the music for our Wedding Ceremony as well - I just couldn't select both in the drop down menu. Thanks for your kind review. I really enjoyed being part of your and Michelle's wedding! Scott was fantastic! He was so professional, and was always in contact with me via phone and email to make sure everything went well for my big day. He is so talented, and the music he played for my wedding was outstanding. Thank you, Scott for making my wedding day so perfect!!! I was at once struck by the extraordinary talent that Scott possesses when I watched the video of his performance. I knew he would be perfect for our event. Scott confirmed everything, showed up promptly, set up his equipment and proceeded to fill the evening air with his beautiful classical selections. Guests commented at how lovely it was to have such nice background music during our event; not over powering, just special to create ambiance. Scott was professional in performance and set up and he clearly knows how to entertain. We will call on him again and highly recommend him for an event which requires beautiful classical music. Well done and thank you. "Let's be honest, researching musicians to play during your wedding ceremony is far from the top of your priority list. We felt the same way. We relied on the Gigmasters rating system and feel like we won the lottery. Scott turned out to be our favorite vendor involved in the wedding. He showed up early. He stayed late. He was genuinely interested in making our wedding day special. HE LEARNED A NEW SONG JUST FOR OUR CEREMONY (Storybook Love from the Princess Bride)! Who does that? Scott. Hire him, you won’t be disappointed." Wedding guitarist - amazing experience! Scott's performance was the icing on the wedding cake so to speak. Scott Sanchez was asked to perform for a pre=ceremony, ceremony, and during the wedding dinner. Scott was given creative license to choose the music, with the exception of a ceremony choice. Scott was professional and attentive to our emails. Working with Scott was stress free; from the first contact we made he was able to put us at ease. Scott's performance at our wedding ceremony and dinner is still discussed by my friends and family. His performance added the ambiance to the wedding we desired. Scott exceeded our expectations, and no matter how large or small your event is Scott Sanchez is the performer you want. Stress free to work with, a talent beyond words can describe, and an overall a true professional !!! I can go on and on .... bottom line is do not hesitate to have Scott Sanchez perform at your event. He will exceed your expectations, as he did ours!!!! Scott Sanchez played at my wedding ceremony on May 24, 2014. He is very talented and everyone enjoyed his guitar playing. Working with him was very easy. He responded quickly to every email and was very detailed and organized in all interactions. He advised on selections and was able to accommodate some special pieces as well. Overall he was wonderful to work with. Highly recommended! Thank you Scott. Vibrant and Emotive- a classical triumph! Scott performed recently at a an all-class reunion and fall homecoming for a 40-member group of women who had attended Venerini Academy in Worcester, MA from 1950 through present times. The two hour program was intended to be background muisc for the event, but those attending applauded, complimented the music and musician repeatedly during the program. He played masterfully,and presented a musical program that will long be remembered. His music was inspirational, entertaining, and wholly engaging. His music added a rich dimension to our homecoming and aded value to our day. Although he played a single instrument- a classical guitar-there was an orchestral sound and rich resonance in the room as he played. He's masterful and creative and his sounds ranged from soothing to dynamic to subtle-we enjoyed every note! Thank you, Mr. Sanchez - for the music and the musician! My October 2012 wedding was captured and set by a heartfelt and romantic scene played by Scott Sanchez on classical guitar. His music truly added a beautiful element for all of my guests to enjoy. 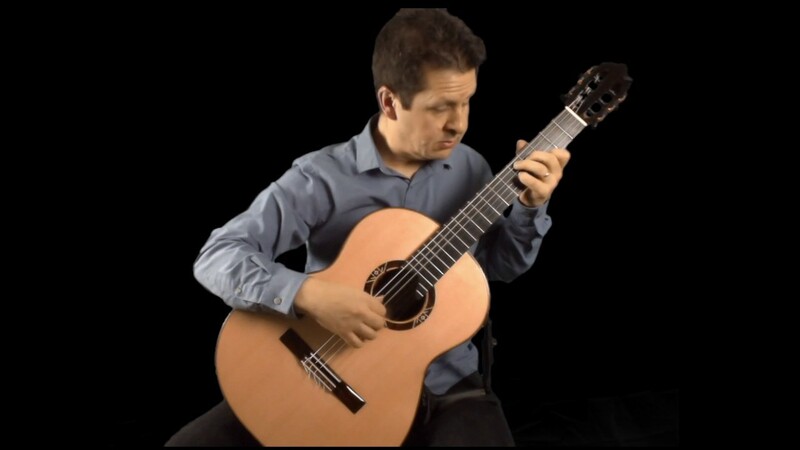 I would recommend his professional guitar services to anyone who is looking for an incrediblly talented musician to play beautiful music rendition pieces. Scott was a great addition to our wedding. Making the booking was very smooth, and he was very responsive to our wishes and replied quickly to our emails. He even adapted an important piece of music for the classical guitar for us. Our guests were very impressed by his performance during the ceremony and the cocktail hour afterwards. We were also impressed by his professionalism. Without a doubt, I would hire Scott again. Professional and talented - a wonderful experience! We hired Scott to play our wedding ceremony 2 weeks ago in Pittsfield, MA and we're so glad we found him! When communicating by phone and e-mail before the event, Scott always responded quickly and thoughtfully. He was also very open and willing to play any music that we requested. Scott arrived on time, and was flexible about the setup location since it was raining on and off and we had initially planned an outdoor ceremony. He played beautifully while our guests were arriving, and did an amazing job with the processional, recessional, and with an accompaniment to my brother singing mid-ceremony. Everyone commented that they loved the music, and we were so happy to have songs that were meaningful to us and our families. I would reccomend Scott in a heartbeat and will definitely hire him again if the opportunity arises! Our library hosts many classical performances, but this was one of the all-time best. Sanchez's abilities and passion delighted our audience. My husband and I hired Scott Sanchez to play for our wedding ceremony and cocktail hour in Northampton, MA. We couldn't be happier with his performance. We chose him after listening to samples from three different guitarists. His music really stood out among them, and his price was just as competitive. We are extremely happy with our choice. Not only is he an exceptionally good musician, Scott was very easy to work with, flexible, professional, versatile and responsive to our requests. He learned a new arrangement for our processional, and also learned a new piece from scratch for our cocktail hour--a piece originally written for piano that has a lot of meaning for my family. He even arranged a Bob Marley piece for our recessional and quietly gave us the arrangement as a gift at the end of his performance. He asked us about the type of music we wanted at the cocktail hour, and played a wide ranging repertior. He also took care of all of the technical details. Our wedding site was in a pavilion outside, and Scott brought and set up his own sound equipment, so we didn't have to worry about any of it. We got a lot of compliments from our guests on his music, and we highly recommend him! I regularly hire performers to present programs at Plymouth Harbor on Sarasota Bay, a retirement community in Sarasota, Florida. Our residents are very discriminating in their musical tastes, and Scott's excellent performance fulfilled their expectations, and mine. I will surely be asking him to come back in the future. Mr, Sanchez is one of America's most accomplished guitarists. He plays with clarity, technical assurance, sharp interpretation, flair and polish. He has a wide range of literature that he plays from memory. Audiences respond with positive enthusiasm. He is a passionate player with outstanding talent. 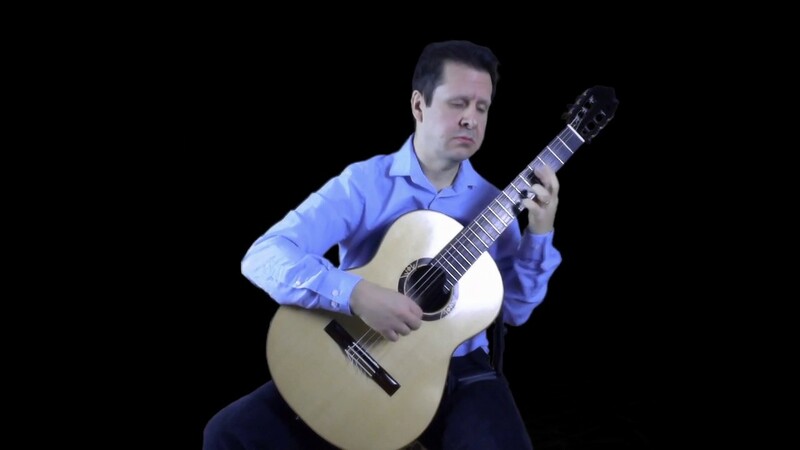 Elegant live guitar music for weddings, corporate events, private events and concerts. 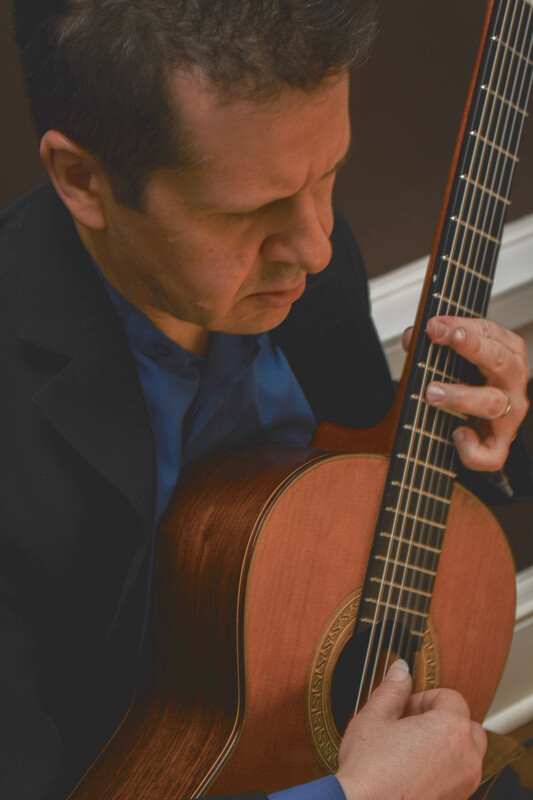 With over a decade of experience in the music industry, Scott Sanchez has earned a reputation as a highly professional and versatile guitarist who plays a vast range of classical to contemporary popular music. Want some elegant classical music for your wedding ceremony or corporate function and then upbeat jazz and popular hits for your cocktail party or reception? Scott's live guitar music can provide the perfect soundtrack for your special occasion. EARLY BOOKING ALERT: Scott Sanchez is one of our most popular guitarists. Book him early before his schedule is full! Scott Sanchez has a Master of Music degree from the Yale School of Music at Yale University. He has performed on international concert series, at weddings, private and corporate events throughout the United States and Europe. Mr. Sanchez currently has four CD's to his credit, and he has been heard on Public Radio affiliates throughout the U.S.
1. 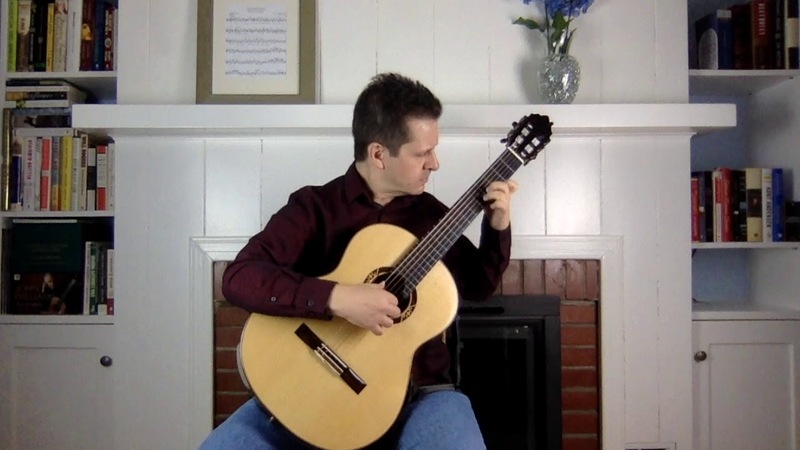 Reasonably Priced - The solo finger-style guitar is capable of producing rich sounding arrangements of your favorite music and can create the effect of many musicians playing simultaneously. It is an advantage to your budget to hire Scott, because as a solo instrumentalist, you will not have to pay for the high price of a band or larger ensemble. It is just Scott and his guitar. Also, there are no hidden fees for his services. Once a price is agreed upon, you will not be told later that Scott "forgot" to mention the price of something. All administrative costs (i.e. preparing the contract, e-mail and phone correspondence, working directly with the caterer or event planner if necessary, etc.) are included in fee. 2. Professional - Scott returns e-mails, phone calls and texts promptly (check out his great reviews) and is always easily accessible throughout the planning process. During your event, he will arrive early to set-up his equipment and will be dressed appropriately for your occasion. 3. Volume Control - Scott has a great sound system that makes it possible for him to be heard. Not so loud that your guests will be drowned out by his sound, but loud enough to be listened to at an enjoyable level. Also, if you need to make announcements, or you have an officiant who needs amplification, you are welcome to hook into his amplifier. This is one less hassle you have to worry about when planning your event. 4. Versatility - Your musical desires are important to Scott, and he will be happy to learn music that you request. He loves music, and plays many different styles from classical to modern contemporary popular music and all points in between. If you have a special song or piece of music that you would like him to arrange for guitar, just ask, and he can make it happen. 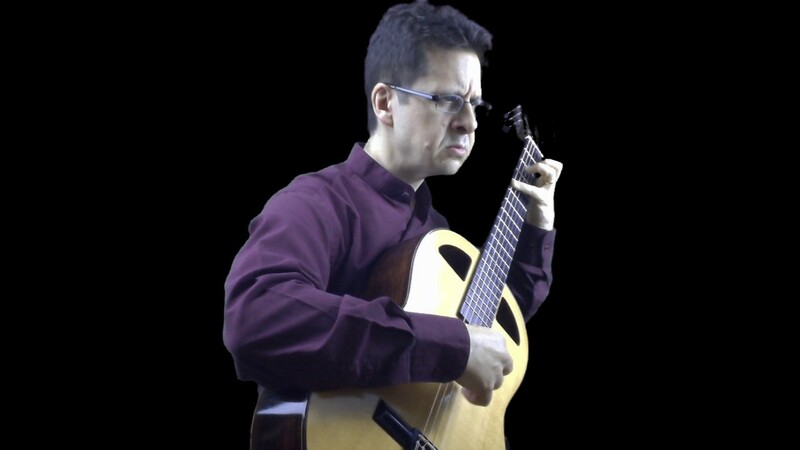 As an experienced classical, rock and jazz musician, he can also perform on nylon string and steel string guitar. 5. Commitment - Music is like breathing for Scott and he greets each musical event as a unique opportunity to share his love and passion. He will give you his very best to help make your special occasion the wonderful experience you deserve! and confidence that is most convincing."